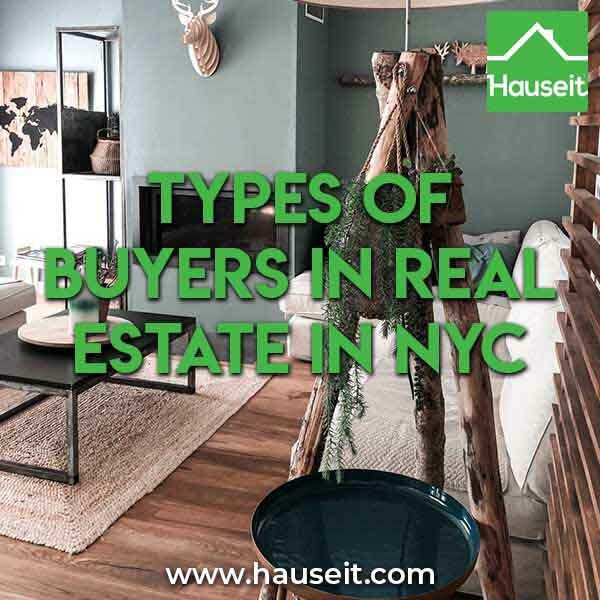 What are all the types of buyers in real estate you’ll encounter as a FSBO home seller in New York City? Which ones should you avoid? Which ones are real? Before we tell you what types of buyers in real estate to be on the lookout for as you sell FSBO in NYC, it’s important to be reminded that you have made a great decision by considering selling your home For Sale By Owner without a broker. In NYC, where real estate agents banked over $2 billion in real estate commissions in 2014, there’s something to be said for you standing up against the status quo and realizing that in today’s market, you can absolutely succeed and sell your home yourself without using a listing agent! It comes as no surprise that listing agents will begin courting (and calling) you the moment you list your home for sale by owner without using a listing agent. Why? Statistically, many homes listed for sale by owner struggle due to overpricing, poor photos and lack of outreach to buyers’ agents who represent over 90% of buyers in NYC. Potential listing agents will seize upon these mistakes and begin planting seeds of doubt in sellers’ minds as early as possible. They will continually call you and remind you of why you won’t succeed with the sale without them. Solution: Here at Hauseit we avoid this problem in two ways. First of all, through our zero commission listing service we list your home on the MLS (RLS for NYC customers) and all major real estate websites through a brand name partner broker. Your listing appears just like a normal, full commission listing so hungry listing agents won’t call you since it looks like you’ve already hired someone. Secondly, through our professional broker consulting packages we offer a CMA (comparative market analysis) performed by one of our licensed broker affiliates. You can discuss your listing price with an honest real estate professional who isn’t hoping that you fail as a FSBO seller in New York City. Because of the tendency for many for sale by owner home sellers to mis-price their property, traditional FSBO listings tend to attract predatory buyers who specialize in the classic low-ball offer of the 2008 style vintage. For obvious reasons, you want to avoid predatory buyers when selling for sale by owner in NYC. They are simply time wasters. Even in the strong market of 2015, we’ve seen these types of buyers make offers 40% below asking price! In fact, many for sale by owner websites actually promote themselves to home buyers by implying that the FSBO listings on their site are under-priced and therefore a good buying opportunity. This is because many for sale by owner properties aren’t properly marketed and syndicated to the MLS and every possible real estate website. 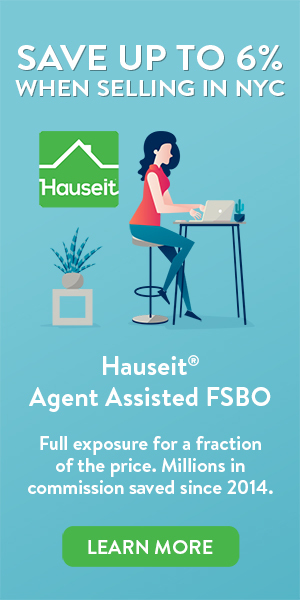 Less exposure means that the FSBO seller will receive fewer inquiries, fewer offers, and may therefore consider selling at a sub-optimal price because they perceive the market to be soft. In reality, these for sale by owner sellers may very well have seen more buyer interest and sold at a higher price if they’d utilized a flat fee MLS listing service to get the word out comprehensively. So in short, as a FSBO seller you can expect to receive inquiries from shrewd investors who will attempt to low-ball you and grossly undervalue your home. Be prepared to receive a few of these at the same time listing agents continue peppering you with cold calls. Try and keep a level head. Assuming you used a listing service like Hauseit to properly syndicate your listing, you should avoid thinking that these low-ball offers are the best you can get without signing up with a listing agent. This won’t be an issue if you’ve listed via an Agent Managed FSBO in which case your listing would appear to brokers and buyers as a normal, traditional for sale by agent listing! As of 2015, buyers’ agents represented roughly 88% of home buyers. Shockingly, this has increased steadily from 69% in 2001. With this in mind, it’s really important to not burn bridges with agents. Offering, say, 2-3% to a buyers’ agent does not commit you to paying it. If and when a broker brings you an offer that’s 2-3% above your asking price, then you can consider accepting it. Otherwise, feel free to keep saying ‘no thanks’ and telling those buyers’ agents to work harder for your business! While you should definitely be firm and say no to listing agents who are trying to seduce you into signing with them, you should make it clear to them that you are willing to be fair, reasonable and pick up their next phone call if they do identify a legitimate potential buyer for your home. Learning how to co-broke is generally a really, really good idea for a FSBO seller. What Is the Selling Agent Commission?